Ryan Hunter-Reay snared the pole for the INDYCAR Grand Prix of Sonoma, smoothly navigating the 12-turn, 2.38-mile road course at the Sonoma Raceway, scene of the Verizon IndyCar Series season finale. 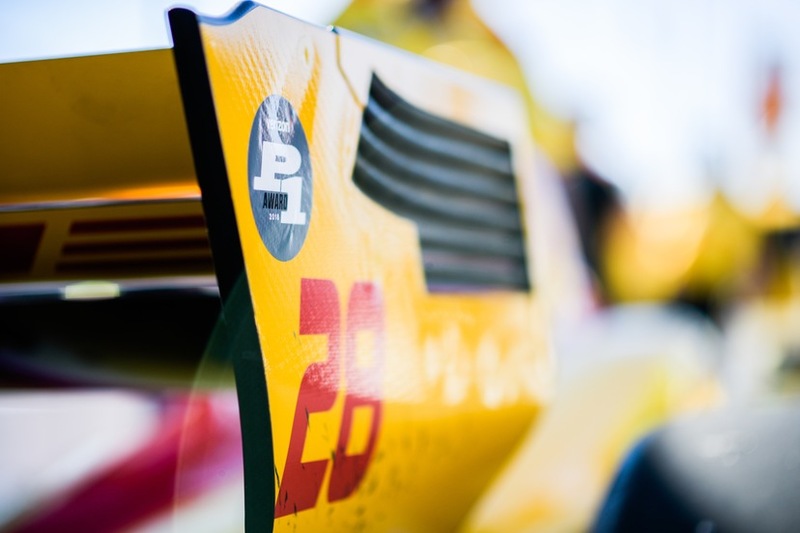 In garnering his first pole of the season and the seventh of his career, Hunter-Reay’s time and speed in the DHL Honda of Andretti Autosport were 1:17.6277 minutes and 110.605 miles per hour, respectively. 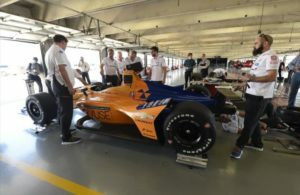 Scott Dixon had hoped for the pole but for a mistake in one turn that relegated him to a second starting position in the PNC Bank Chip Ganassi Racing Honda. His time was 1:17.7599 minutes. 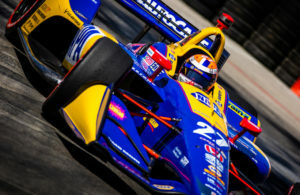 Third and fourth fastest qualifiers were Josef Newgarden and Marco Andretti. 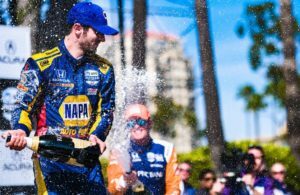 Rounding out the top six in the Firestone Fast 6 qualifying competition were sensational rookie Patricio O’Ward and Indianapolis 500 winner Alexander Rossi. In a strategic move by his Andretti Autosport team, Rossi was the only one in the top six to qualify on black tires, saving his red tires for the race. Will Power, in his worst qualifying effort of the season, came in seventh and he will be flanked by teammate Simon Pagenaud. Harding Group Chevrolet rookie Colton Herta, teammate to newly crowned Indy Lights champion O’Ward, will start the race in 19th. The INDYCAR Grand Prix of Sonoma will be telecast live on NBCSN at 3 p.m. ET Sunday.